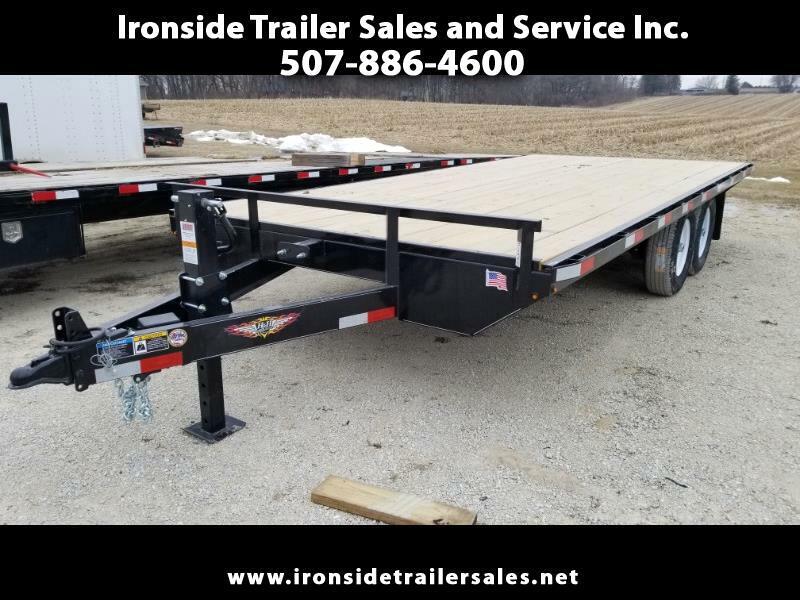 Used 2019 H&H Deckover for Sale in Harmony MN 55939 Ironside Trailer Sales and Service Inc.
2019 H&H 102" X 18' light duty deckover trailer. It has 3' X 8' pull out ramps and LED lights. 14,000# load capacity. 2018 H&H 82"x14' Railsided Aluminum Utility Trailer. It comes with a 1,000# jack with castor and a bi-fold end gate. Stop in and see it at Ironside Trailer Sales in Harmony, MN or call 507-886-4600 for more information.